It seems that I have a cataract. A few weeks ago I realised that the vision in my right eye was rather blurred, a visit to the optical shop showed no improvement with various lenses. A visit to the local eye doctor brought forth a, "I have good news and bad news." (I'm not sure if all German optical specialist favour Pythonesque humour but mine did.) A cataract is the condition where the normally clear natural lens of the eye becomes opaque. The modern treatment calls for the removal of the old lens and replacement with an implant. Cataract treatment is one of the oldest surgical treatments devised and dates back to, amazingly, the 6th century BC. (Descriptions of this early treatment are not for the sqeamish.) At the time, with no possibility of vision enhancement using glasses, the utility of the treatment was dubious. Later, when eyeglasses became available, around the 1700s, the improvements in vision made the surgery more useful although the correcting spectacle lenses needed had many shortcomings. 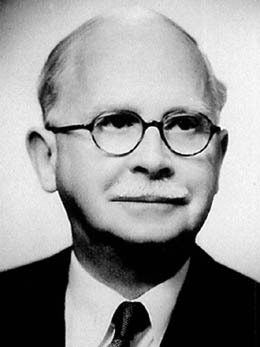 It was work of an Englishman,Sir Harold Ridley who pioneered the use of lens implants. It was known from wartime experience that shards of Perspex, the transparent plastic used in aircraft canopies, could be buried in the body for years without being rejected. Ridley devised a Perspex lens replacement. (He worked with an optician, John Pike, of Rayners the lens makers, and a chemist, Dr John Holt, of ICI) Other colleagues devised ways of sterilising the plastic lens. The first lens was implanted in 1949. At the time prosthetic surgery was almost unknown. Now we have a whole global industry built around eye surgery alone. It's remarkable to note that all the initial development and risk was taken on privately by Ridley and his colleagues and played down because of the revolutionary nature of the work. This pioneering work met with considerable resistance within the establishment of British optical surgeons. Sir Stewart Duke Elder, who had appointed Harold to Moorfield's eye hospital before the war, had already fallen out with him. Harold was a highly skilled surgeon and after doing good surgical work on combat casualties during the Battle of Britain was banished, by Duke Elder, to Ghana. Harold was initially disapointed by this as Ghana was well outside the expected combat area where he thought he could be most usefully employed. But banishment to this backwater didn't stop Harold Ridley working. In Ghana he researched various causes of blindness and with colleagues made great progress on river blindness which was a huge problem in there. After the war, and Harold's groundbreaking work on lens implant surgery, Duke Elder was still set against him. As a result ocular implant surgery gained quicker acceptance in US, and elsewhere, than in the United Kingdom. Nevertheless, Harold continued with other developments and pioneered the use of electronic television systems to image the eye, initially in black and white and in 1950 using one of the first colour TV systems in Britain. In spite of his pioneering work Harold was not knighted until he was over 90, long after the demise of Duke Elder. And then only thanks to former colleagues and students and the intervention of Hilary Clinton and Cherie Blair. 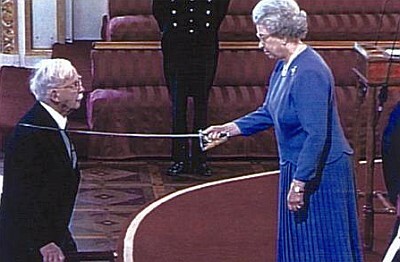 Finally, Sir Harold was properly honoured within his own lifetime. It seems that the influence of the enemy he had made at the start of his career, Sir Stewart Duke Elder, who had also been the Queen's eye surgeon, had lasted a long time. I'm to have my cataract operation on the 18th of July. More on this later. I will send you positive thoughts and healing vibes for your surgery. Terry, you do realise what this means? Ask them if they can get you a lens that displays the time and twitter feeds into your retina. This is the 21st century, after all.